WE'RE BACK! As the highly anticipated follow-up to our SOLD-OUT production of "The Addams Family", KCI is thrilled to announce that our upcoming musical will be The Hunchback of Notre Dame, based on the novel by Victor Hugo and music from the Disney film! Follow #KCIHunchback on social media as we create this monster of a production! KCI Drama is extremely excited to be partnering, for the first time, with KCI Music and KCI Art, as well as our phenomenal cosmetology department, to produce THE ADDAMS FAMILY - A New Musical Comedy, which premiered at KCI on April 28th and 29th, 2017! 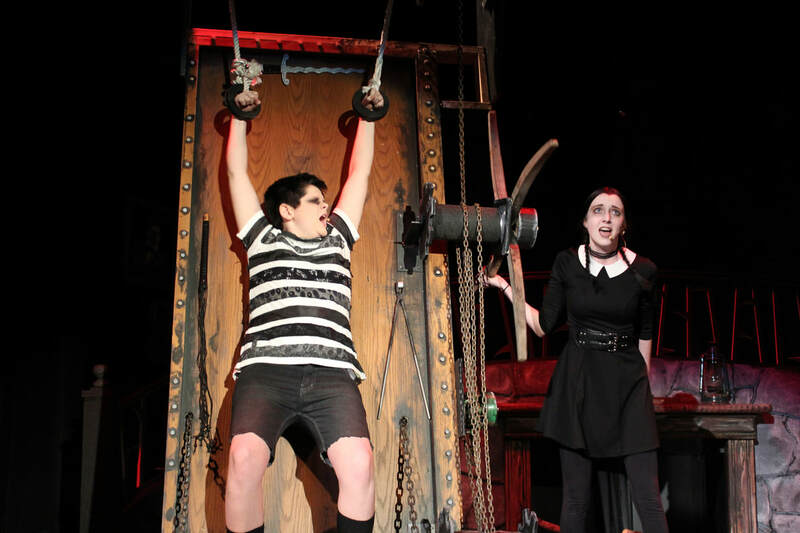 With more than 100 students involved in all aspects of the creation of this production, KCI's musical production of "The Addams Family - A New Musical Comedy" is the largest musical undertaking that we have every done! Did you see the show? 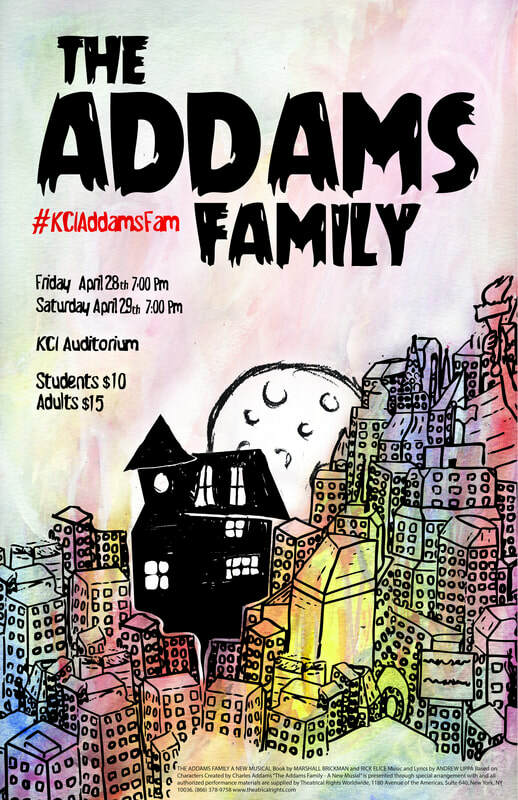 Let us know your thoughts on social media using #KCIAddamsFam! For more information about the characters, plot, and music - click here. Produced by special arrangement with Theatrical Rights Worldwide. Book by MARSHALL BRICKMAN and RICK ELICE Music and Lyrics by ANDREW LIPPA. Based on Characters Created by Charles Addams. THE ADDAMS FAMILY CAST LIST! 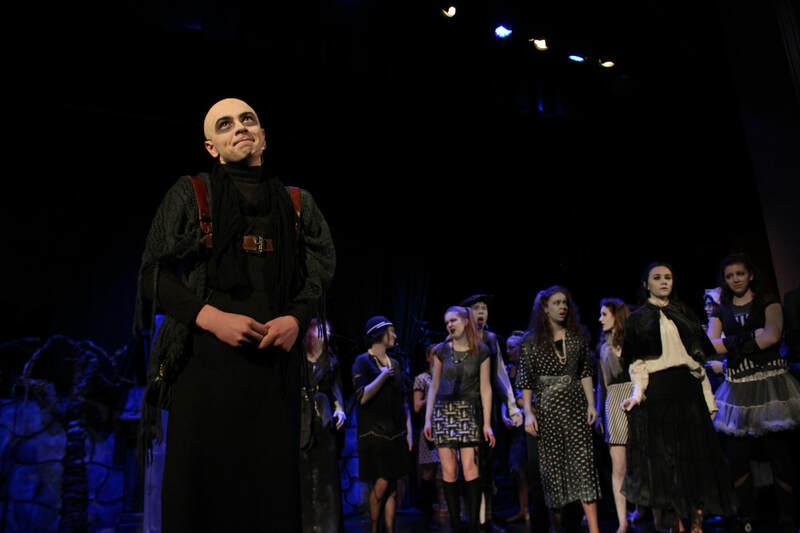 KCI Drama was proud to showcase in our 2015 Production Season, a completely original production making its World Premiere at KCI last Spring! 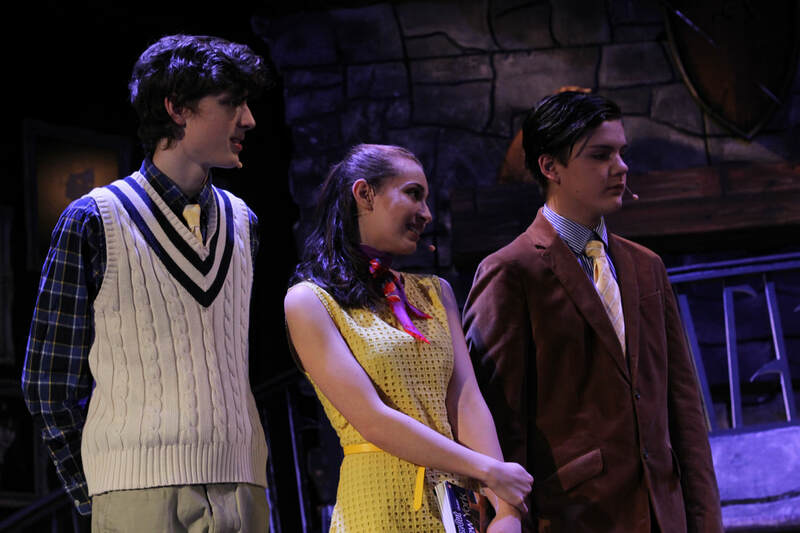 The musical, set in the 70's and written and directed by Mr. Sandor and Mr. Smith, follows a pair of talented sisters as they strive for stardom to escape from their small town life.